The patch does not pierce the skin, instead it draws glucose out from fluid between cells across hair follicles, which are individually accessed via an array of miniature sensors using a small electric current. The glucose collects in tiny reservoirs and is measured. Readings can be taken every 10 to 15 minutes over several hours. 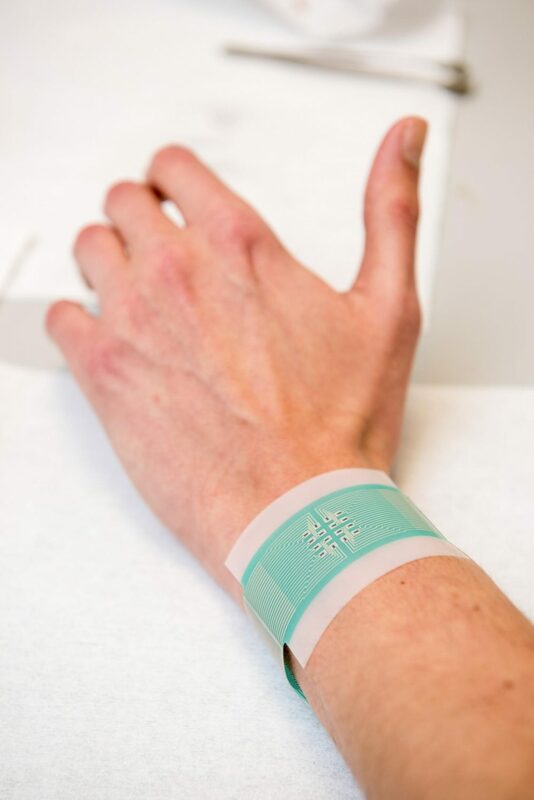 Crucially, because of the design of the array of sensors and reservoirs, the patch does not require calibration with a blood sample — meaning that finger prick blood tests are unnecessary. An important advantage of this device over others is that each miniature sensor of the array can operate on a small area over an individual hair follicle — this significantly reduces inter- and intra-skin variability in glucose extraction and increases the accuracy of the measurements taken such that calibration via a blood sample is not required. An effective, non-invasive way of monitoring blood glucose could both help diabetics, as well as those at risk of developing diabetes, make the right choices to either manage the disease well or reduce their risk of developing the condition. The work was funded by the Engineering and Physical Sciences Research Council (EPSRC), the Medical Research Council (MRC), and the Sir Halley Stewart Trust.